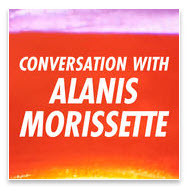 My Favorite Podcasts – Trees & Flowers & Birds! 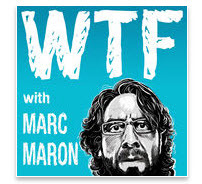 My favorite form of entertainment either while I run, walk or work has been podcasts. I’m *starting* to get into audio books too – finally subscribed to Audible for that, but for everyday feeding my brain/soul this list really teaches me and makes me laugh. 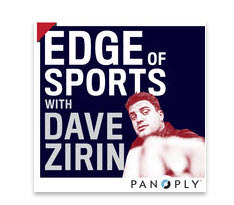 Typical of me, it is a blend of sports, liberal politics, some light introspection/inspiration, and comedy. I also really LOVED the Serial series of podcasts so a good story telling genre is also a favorite. I’d love to hear suggestions for more so please share! 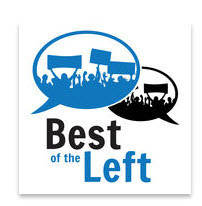 Best of the Left – when you cannot listen to or watch *every* great media outlet that leans to the left, this is the solution. 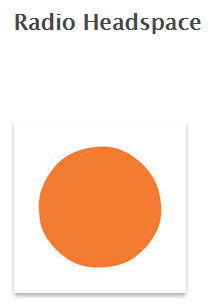 Radio Headspace – from THE place to learn Mindful Meditation – the podcast covers a huge range of inspirational and truly amazing exercises and interviews on every topic you can imagine. The most recent download included a fantastic talk with two comedians who have emerged as voices of authenticity on mental illness and the stigma around it. 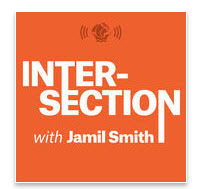 Intersection with Jamil Smith – An editor at The New Republic, Jamil does a fantastic job exploring exactly what his show is called – the intersections of race, gender and myriad other ways we identify ourselves. He’s a former producer of the Melissa Harris Perry show (Nerdland!) and does a great job putting together panelists who cover a board spectrum of societies and viewpoints. It’s a relative new show but one that has had me nodding my head and silently saying “thank you for teaching me that!” as I listen. Actually, ALL of these shows do that at some point or another which is why I love them! This Week In Blackness Radio – I saved my favorite for last. 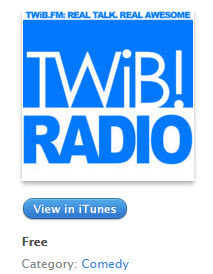 The link is to their Prime show, but I adore all of the shows in the TWiB family. http://thisweekinblackness.com/ They are the ones who got me into listening to podcasts and now, as you can see, I am hooked!